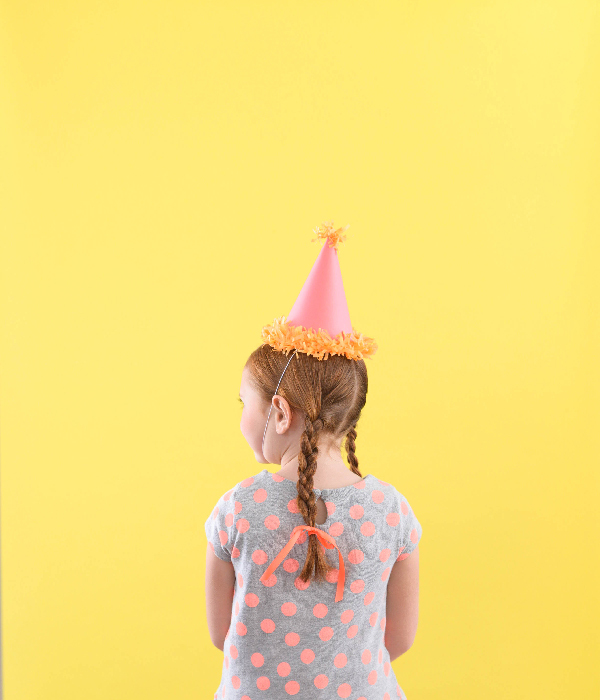 This classic fringe party hat is one of my favorite party projects. I love that you can make them in any color. 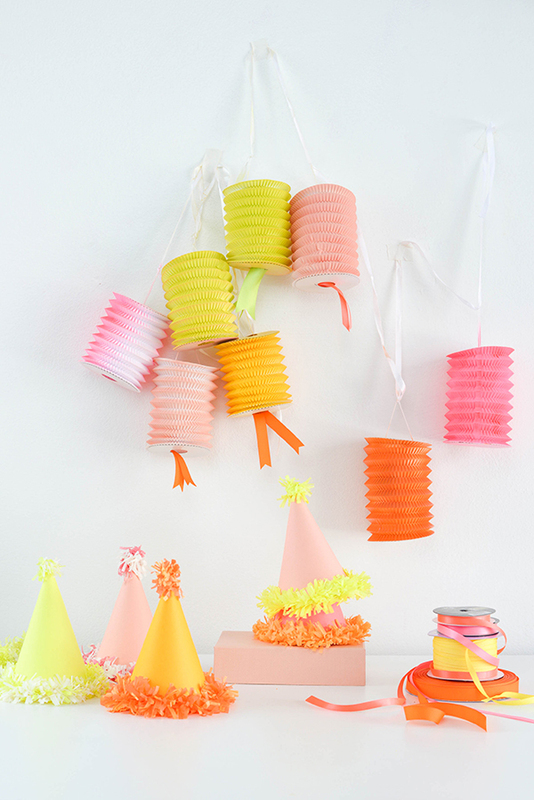 They are very easy to make and the homemade festooning adds a sweet little touch. 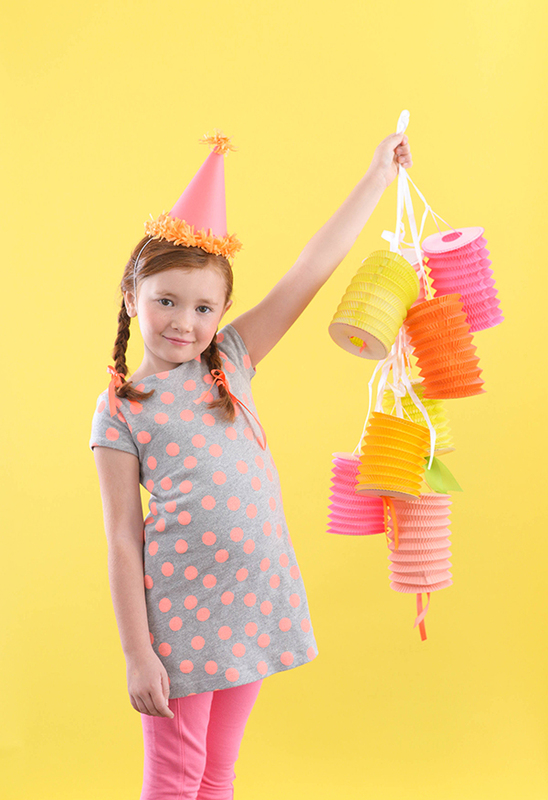 I’ve even just bought these basic party hats and added festooning myself to make them a little special. It’s so easy! 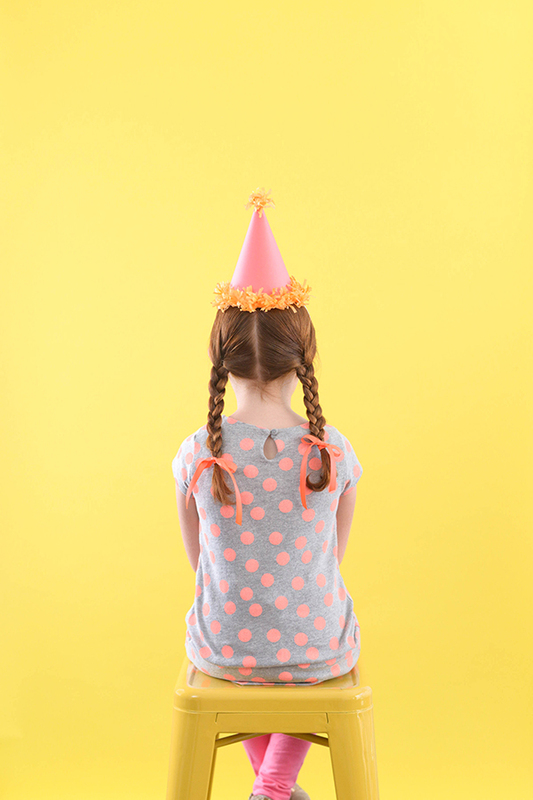 Step 1: Use the party hat template to cut out the hat shape. Step 2: Attach the elastic to the sides using a stapler. Step 3: Fold up one sheet of tissue paper and cut about 2.5 inches off the top. Step 5: Use your hands to tousle the fringe so it’s not so perfect. Step 6: Unfold the fringe so it’s in long strips. Begin to twist the fringe together so that it forms a mini garland. 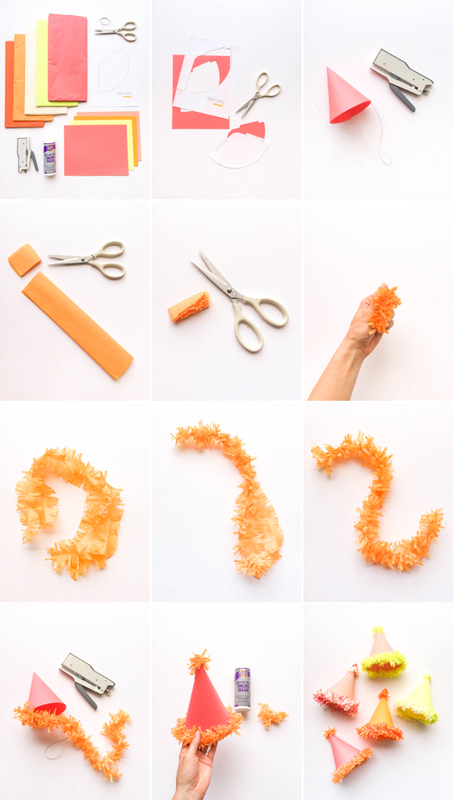 Step 7: Attach the fringe to your party hat using a stapler. Step 8: Glue a bit of fringe to the top of the hat. Step 9: Wear and enjoy! Just yesterday I was searching your blog on how to make this type of fringe! It seemed so simple but I couldn’t get it right. Perfect timing for my daughter’s first birthday next weekend. Thank you! 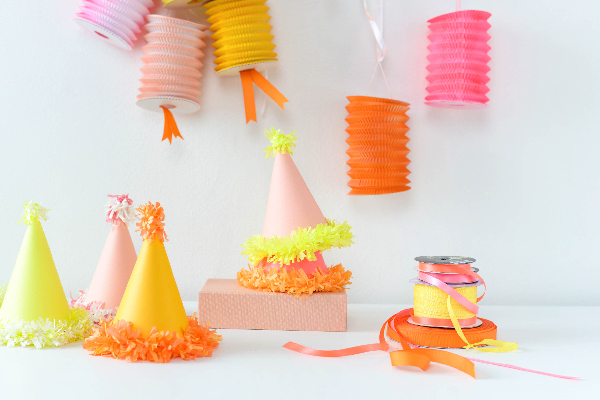 I’m now going to be obsessed with making Fringe Party Hats!